I have not experienced adult life outside of the military. I joined the Marine Corps when I was just 18 years young, and spent 10 years immersed in it. I married my husband (also a Marine) 6 years into my own career as a Marine and have been happily married to him for 10 years. I went from being an active duty Marine to a Marine wife. We have also added 2 children to this oftentimes, crazy life. I have always felt that God placed us (all 4 of us) in this life, because it is where we would flourish to our fullest potentials as faithful followers, believers, and disciples. As a self-proclaimed “type A” woman who loves structure and schedules, this life can cause a lot of anxiety. Things hardly ever go as planned. Our family had orders to go to Okinawa, Japan this summer. This seemed like a dream for us, and our family excitedly began preparations for the long and grueling process of moving overseas. The process was going to be worth it though, because we would be in paradise. But of course, the Marine Corps had other plans for us. Just 2 months before we were to move, they changed my husband’s orders to Yuma, Arizona. My heart sank when my husband delivered the news to me. However, instead of getting depressed and mad at the Marine Corps, I reminded myself that God always has greater plans than the world has for us. While I could not see or understand why He chose Yuma over Okinawa for our family, I put my faith in Him that this is where we could best represent and serve Him. Hebrews 11:1 says that “faith is the substance of things hoped for, the evidence of things not seen” (NKJV). I am still blindly relying on God to show me His purpose for moving our family here. Moving here has come with lots of challenges. Everything from making new friends, establishing a home, and putting our kids in new schools has been difficult. Add homesickness and loneliness to that equation, it’s hard to see God’s purpose for us. And yet, as believers, we continue to put our faith in God. In the story of Job, he did nothing wrong and was a faithful follower of God. God allowed Satan to bring about suffering to Job even though he already knew how faithful Job was to Him (losing all his children, becoming ill, becoming poor, etc.). Even though Job’s life was tortured and miserable by the hands of Satan, Job stayed faithful to God. In the end, “the Lord blessed the latter part of Job’s life more than the former part…” (Job 42:12 NIV). 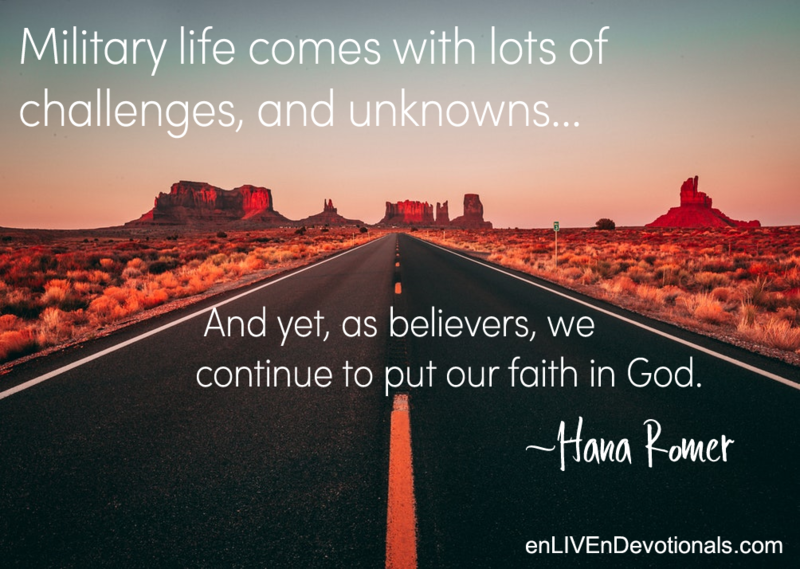 I am not comparing our woes of moving to Yuma to Job’s life, but I can most definitely use Job’s perseverance in keeping his trust and faith in God through the tough times as an example for us. I know that one day, we will look back at our family’s time here in Yuma and see the big picture. God has always abundantly blessed our family with wonderful friends, amazing experiences, and immeasurable love at every address we have lived at from California to Massachusetts to Texas, and now, Arizona. Whether it be in heaven and/or earth is what continues to motivate our family to faithfully serve Him. I know our work as God’s disciples is never done until we are in heaven, but I like to think of Jesus’ prayer to God before his crucifixion in John 17:4 where he prays, “I have brought you glory on earth by finishing the work you gave me to do” (NIV). Our family continues to pray that we are bringing God glory here on earth at every place the military sends us. Father, no matter where we go, we are in your faithful and loving hands. Send us, Lord, to the place and people you have prepared for us. We thank you for your perfect and loving will for our family, knowing that it will turn out VERY GOOD in your hands! Take time to write a note of encouragement to the “new kid” in town (even if the new kid has been there 5 years!). Let them know what they mean to you today. Sometimes, edification only takes pen, paper and a stamp! Hana Romer is a native Texan that is currently residing in Yuma, AZ. She is the proud wife of an active duty Marine, the world’s “okayest” stay at home mom to 2 wonderful kids (a 9 year daughter and 5 year old son), a former United States Marine, and the loudest and proudest member of the fightin’ Texas Aggie class of 2017. She spent 10 years in the Marine Corps, and was deployed to Iraq and Japan. It was during her time in the Marines when she met her now husband on a rifle range on Camp Pendleton in California. They have now been married 10 years and have moved 6 times between California, Massachusetts, Texas, and now Arizona. 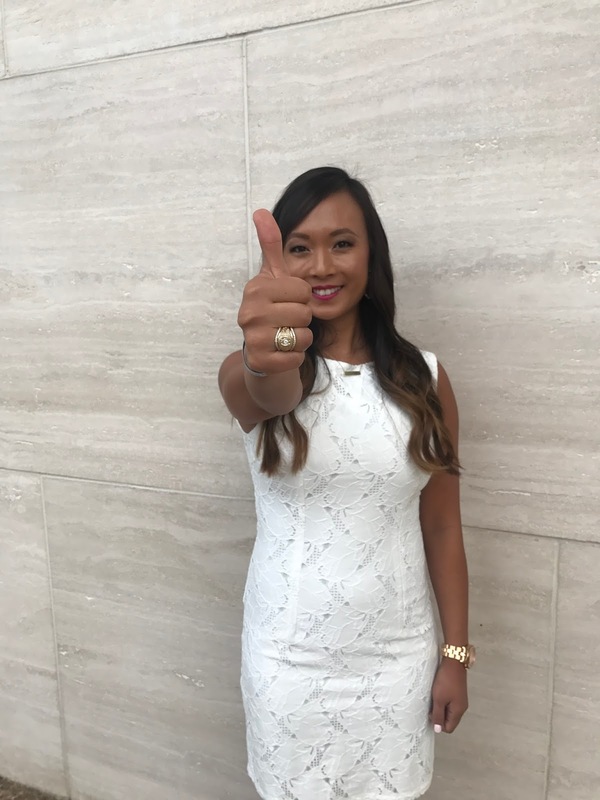 After the birth of her first child in 2009, Hana decided to start blogging about her day to day life as an active duty Marine, a military wife, and a working mom as a way to keep her friends and family in Texas updated on her family’s life. The blog that was originally titled “Romer, Family of 3” has evolved with her life, and has gone through 3 name changes to fit her seasons of life. Even with 3 name changes, the content remains the same. It details everything from the funny parts of life, the struggles military life, to marriage struggles, the “joys” of moving every 3 years, and everything in between. Hana enjoys working out, cooking, and being the world’s “okayest” housewife and mom to her family. You can find Hana at Semperag.com and on Instagram @semperag_blog .